SEO, Keyphrases, ranking, algorithms, etc they can all be very misleading for us non-SEO experts. And despite great tools, such as Yoast, there is still a lot of confusion amongst Build Business Results (BBR) Network Members. According to Marieke van de Rakt one of the SEO the experts at Yoast: Your focus keyphrase is the keyword you want your post or page to rank for. If you’re particularly eager to rank for a specific keyword, you’ll probably be tempted to optimize many articles on your site for that keyphrase. 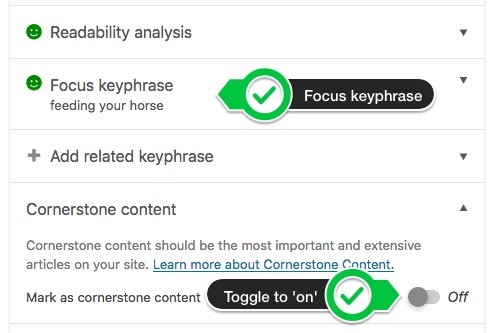 But, that’s not what a focus keyphrase is for! You should only ever use a focus keyphrase once. But why? And what do you do if you desperately want to rank for that one particular keyphrase? Don’t despair: She'll tell you all about it in this post.